The city recently downgraded its water quality rating from "clear" to "watch." That came after the level of a very dangerous toxin called microcystin rose in Lake Erie . However, Toledo stresses that microcystin is not in tap water --- just in the lake and near the water intake crib. Now, the city is treating drinking water to remove the toxin. And it’s watching levels of microcystin, which is more toxic than cyanide and can make humans and pets sick. It’s a byproduct of the algae blooms created by fertilizer runoff and other problems in western Lake Erie. During an algae bloom, the lake might look green, with floating layers of scum. The latest harmful algae bloom bulletin for western Lake Erie shows the bloom continuing along the Michigan and Ohio coasts, but decreasing in toxicity. This year is predicted to be one of the largest blooms on record. The more rain we have this spring, the bigger the Lake Erie algae bloom this summer -- and it’s been a wet spring. 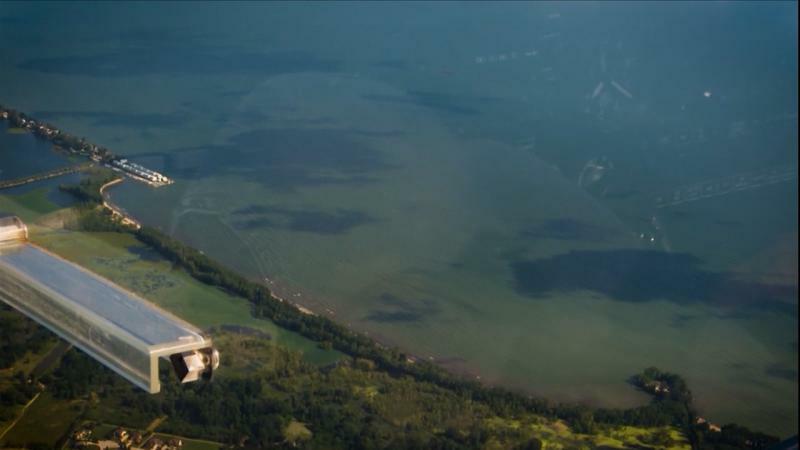 Algae blooms in western Lake Erie are primarily due to excess nutrients from fertilizer chemicals running off farm land. Some blooms can become toxic, shutting down beaches or sickening people and pets. Rain helps phosphorus travel from farms to the lake through rivers including the Maumee in western Ohio – and tracking from the National Oceanic and Atmospheric Administration can predict the size of an algae bloom. A new conference coming to Cleveland will offer a chance to “hack” Lake Erie for innovations and resolutions to the lake’s issues and problems.